Does NOT work on Moles. Spectacular Results with Just One Treatment! A: Most blemishes and skin issues are removed in seconds. Depending on the number of capillaries most conditions can be successfully and permanently treated in one 10 minute treatment. A: Most skin issues can be corrected with just 1 treatment. Some may require more. Beautify Spa provides you with a free consultation to help to gain more information. If you have a lot of skin issues, a 2nd treatment may be needed as we can only treat so many issues at on time. Q: My Dermatologist wanted $275.00 for 11 skin tag to be removed, what would you charge? A: 11 skin tags would only be $199.00 unless you're a VIP, you will receive special pricing. A: Yes, typically, the skin issues treated are very superficial and can be treated with a sterile, disposable probe. Electrocoagulation has been used safely for years to remove vascular blemishes. A: Some experience a "pinprick" sensation that can be mildly uncomfortable. However, we use the best topical anesthetic cream and most of the discomfort is taken away. Q: What Are Vascular Blemishes? A: Broken capillaries and spider veins are classified in medical terminology as "telangiectasias". 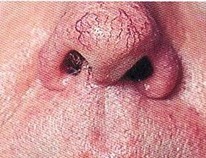 There are many different names associated with these lesions, including "Blood Mole", "Blood Dot", as well as the cosmetic/aesthetic term, "Couperose Skin". 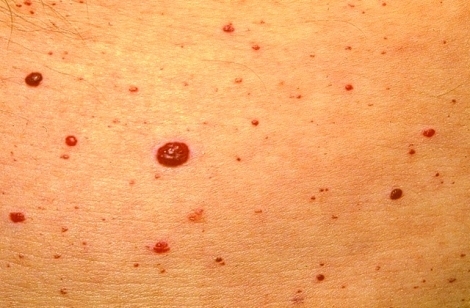 Blood moles resemble a red dot or patch and can appear nearly anywhere on the body. Capillaries under the eye or around on the nose as well as the neck or upper chest are vascular blemishes that are treatable. Q: How Did I Get These Vascular Blemishes? A: Heredity seems to be the most popular theory. It is noted that those with fair skin have a higher incidence of Telangiectasia while more olive complexions have few problems. Other contributing factors include; age, hormones, sun exposure, alcohol consumption and other predisposing medical conditions. Trauma to the skin may also cause Telangiectasia to develop. 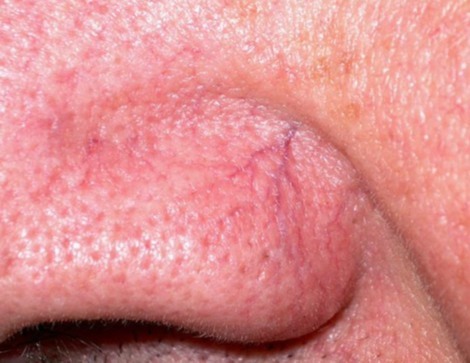 Whatever their origin, these vascular blemishes can be removed easily and permanently. Q: What Other Methods Can Be Used to Treat Vascular Blemishes? A: Many Physicians use a hyfrecation device. 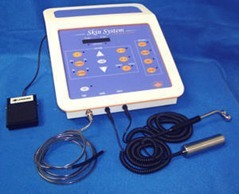 A hyfrecator applies a high voltage of RF (radio frequency) current to the surface of the skin. 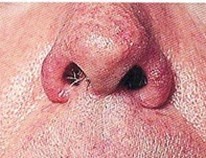 This method tends to be very painful and often scars surrounding tissue. Another method is laser treatment. Though painful and very expensive, the appropriate laser can be quite effective in treating vascular blemishes. Q: How Is It Performed? A: The surface of the skin is cleansed and prepped. 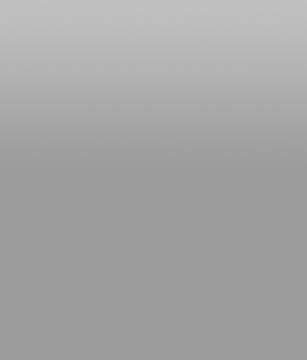 A fine tipped sterile probe is placed on the surface of the blemish. Low level RF and DC current is passed through the probe to the vessel. The blood in the tiny vessel is clotted or coagulated and stops flowing. With the proper "post" treatment care the vessel is naturally absorbed into the surrounding tissue and typically within three to four weeks will disappear. Skin Tags fall off in 3- 4 days. Q: Does it Really Work On Skin Tags? A: Yes, It absolutely works wonders on Skin Tags. Skin tags can be treated in minutes and they fall off within 3 to 4 days. It does not make any difference where they are located on the body. Q: My Dermotoligist froze off some skin issues and it left some depressions in my skin; does this treatment do that too? 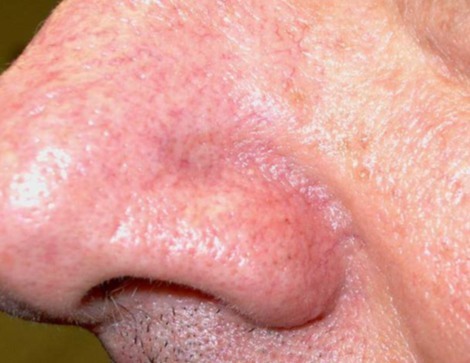 "I have had an ugly blood vessel on the side of my nose for years. A single treatment made it disappear completely in just a couple weeks. I highly recommend it! " "My Blood moles vanished immediately. I was amazed at how quickly they could treat something that I had noticed for years!" $199.00 Flat Rate for 1-5 skin issues. $249.00 Flat Rate for 6-10 skin issues. $299.00 Flat Rate for 11-15 skin issues. 15 or more skin issues requires a Consultation, which is provide to you at no charge.